There is less time to garden now, as the nights draw in, but still plenty of jobs to do in the garden. 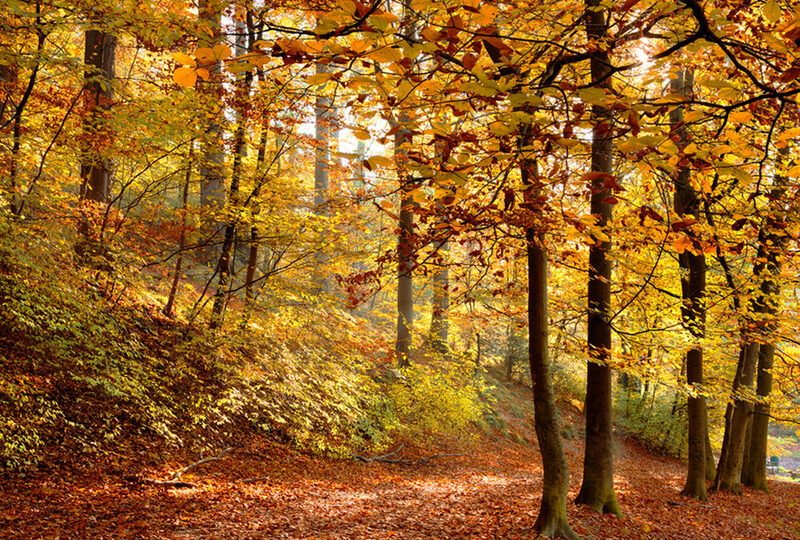 The main activities revolve around clearing up after summer and preparing for winter and spring ahead. Here is a list of important jobs to do this month to keep your garden looking good. Protect less hardy plants from frosts with fleece, and move tender plants into a conservatory or greenhouse (but first check plants for pests such as red spider mite). If you don’t have either of these a windowsill or sunny porch will do. You can transport them from tubs and baskets into smaller pots, they don’t need room to grow in winter and they will also take up less space. Rake up leaves and store in compost bin or put them in a bin bag with a few holes in it and then you can use them for food for your plants the following year. Plant hardy trees and shrubs if the soil is warm enough for roots to get hold before winter sets in. Look out for bare-root and rootballed trees, shrubs and hedging as plants become available. Plant flowering Nerine, Rudbeckia and Schizostylis for immediate late colour. For early flowers, sow sweet peas indoors this month or next. Sow seed in root trainers or 9cm pots and keep your plants in a cold frame or unheated greenhouse over winter. You can plant hardy spring-bedding plants such as wallflowers, primulas and forget-me-knots now into prepared beds or pots. Prune climbing roses and tie stems before autumn winds cause wind rock. Give conifer hedges a last trim if necessary. Many parts of the UK will get their first frosts this month. Once these have blackened any dahlia foliage cut down to ground level and lift tubers for frost-free overwintering. In mild regions plants can be left in the ground with a mulch of organic matter for protection. Remove spent summer bedding, fill pots with fresh compost and plant bulbs (lily and tulip) and winter bedding. If herbaceous perennials have finished flowering, they can be cut back to ground level. Leave those with decorative seedheads to provide winter interest and habitat for wildlife. 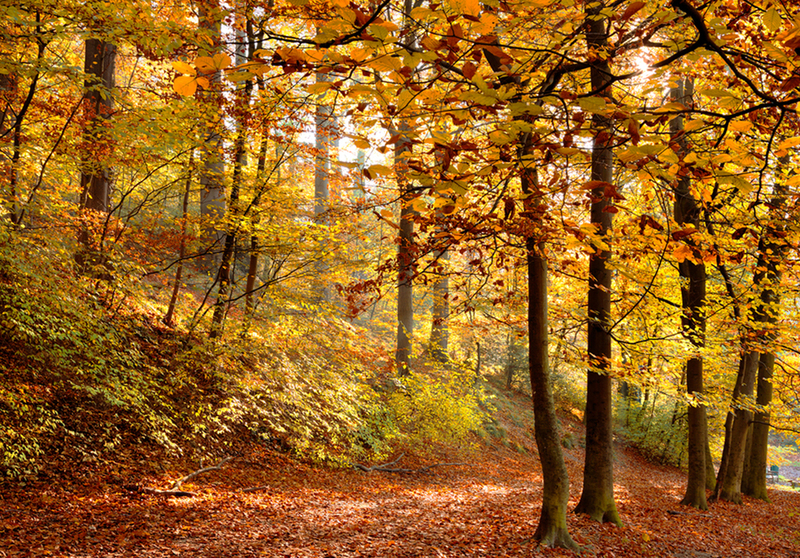 Collect and dispose of any diseased foliage – do not compost it. Clear the garden of weeds that can act as hosts for pests and diseases. 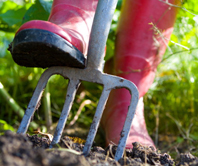 Dig over heavy soil to expose it to frosts, which will break it down and help improve the structure. Dig up your perennials and divide them – generally you should do this every three to five years. First cut the plant back – it will ensure the energy will be put into the roots, plus it allows you to see what you are doing. Dig up the plant carefully and shake off the excess soil before gently prizing apart into two halves. Replant as soon as you can and water in well. Lawn maintenance – reduce mowing as grass grows slow. Last chance for scarification and aeration. Gather in remaining harvest (apples and pears) as they ripen. if you have plenty and wish to store some, place them carefully in open-sided trays or crates, so fruits are not touching, in a cool, dark, well-ventilated place. Check fruit regularly for ripeness and signs of rot. Clear away stakes and other supports from vegetable beds, as they could harbour overwintering pests. If you plant garlic in late autumn, it gets the chill period that bulbs need to develop. You may need a cloche over softneck types in colder regions. Improve fertility, promote good soil structure, reduce weed growth and support wildlife by sowing a cover crop of rye, vetches or ryegrass to be dug in from next February. Alternatively, cover with a black plastic sheet. Clean out water butts and ponds. 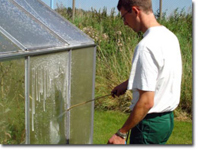 Greenhouse – the watering of greenhouse plants can now be reduced. Only open vents on warm days and making sure they are closed on nights. Clean the glass panels inside and out. Clean and disinfect floor area, benches & shelves with a product such as Armillatox. if you have mature ivy in your garden, don’t prune it between now and late winter, as the flowers are a valuable source of late-season nectar and the berries are loved by garden birds. Consider creating hibernating places for your garden wildlife. Many invertebrates will make use of a pile of logs; hedgehogs may use a leaf pile or hedgehog house.